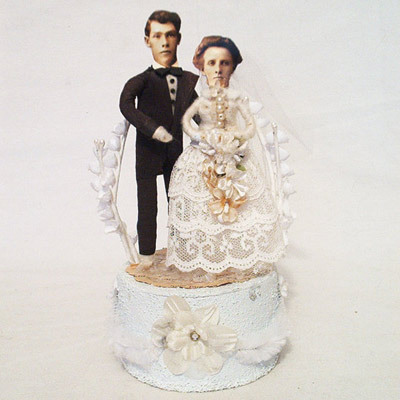 east side bride: another installment of: CREEPY OR AWESOME? The faces are cut out of Victorian photos, but never fear..... Crystal does custom! "Sometimes rabbits and kitties fall in love!" The one with people is straight out creepy. That one is so creepy it wraps back around to kind of amazing. Creepily awesome. Why be one when you can have both?